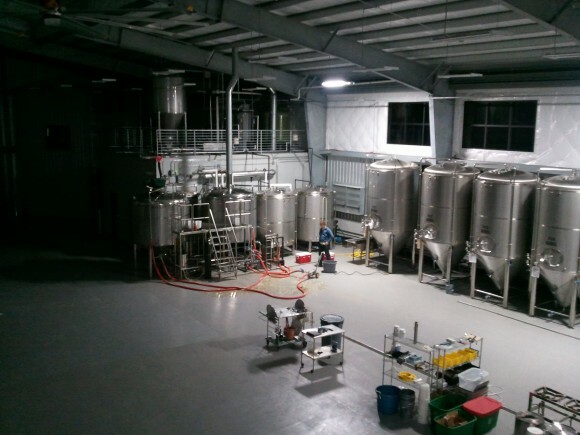 Westbrook Brewing might be South Carolina’s newest brewery but it’s certainly not its smallest. With the first batch brewed on Thanksgiving, Founder Edward Westbrook and Head Brewer Smith Mathews are now crafting some tasty beers in Mount Pleasant across the bridge from Charleston. I assisted Smith on Edward’s favorite Belgian Pale Ale recipe. Other beers in their lineup currently include White Thai a Belgian Wit with some novel spices, a smooth Belgian Tripel with a nice hop character and an IPA that is sometimes American and sometimes pleasantly twisted with their Belgian yeast. Barrels just arrived at the brewery and they have exciting plans for aging all sorts of beers in them. The experimentation doesn’t stop there, currently a Lichtenhainer is in the works, a little known German beer that combines elements of wheat, smoke and sour. 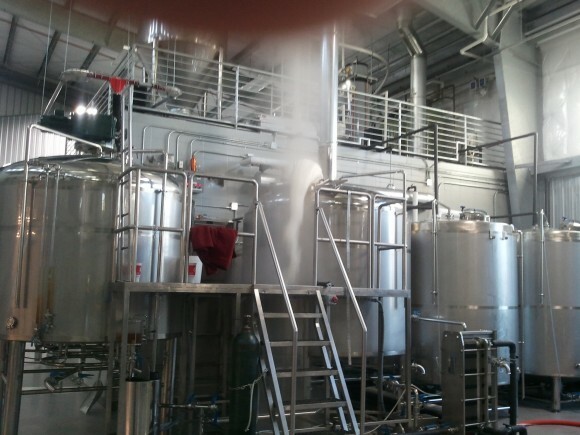 Westbrook’s brewhouse is a 30-barrel system with a steam jacketed kettle. 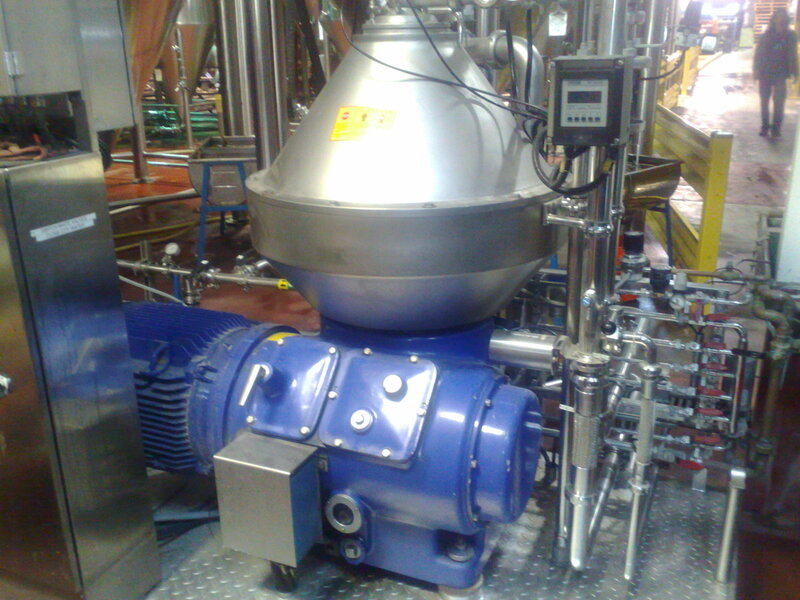 Energy efficiency is always a concern in brewing. Westbrook reclaims thermal energy by directing the outlet of the wort chiller to the hot liquor tank. The water heaters pump water through solar panels on the roof. Multitasking is key to getting everything done on brewday. 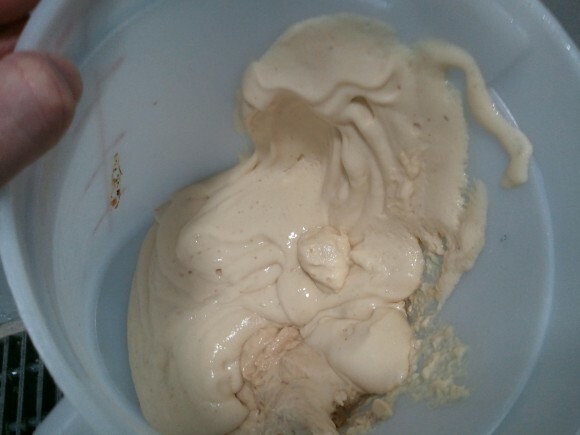 This bucket of creamy sludge is some healthy yeast from the slurry to be tested for viability and counted to determine the pitch size. Point of Safety: During the boil don’t lean against the kettle doors. When opening the kettle doors stand back, certainly don’t have your face near them. Boilovers will happen. Westbrook definitely has room for growth. 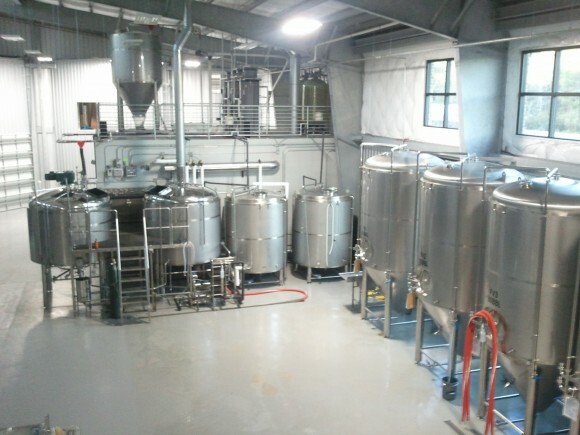 Plenty of space for more fermentors, the lab they are building gives a brewer some nice quality control toys and the tasting room is just a few weeks away from completion. Fermentation Vessel 2 is being cleaned. 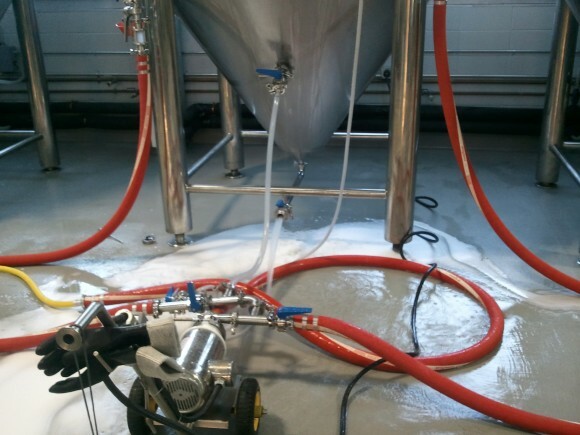 Once it’s been sanitized the yeast pitch will be pumped from another FV into it prior to pumping the chilled wort. One business’s waste becomes supplies for another. 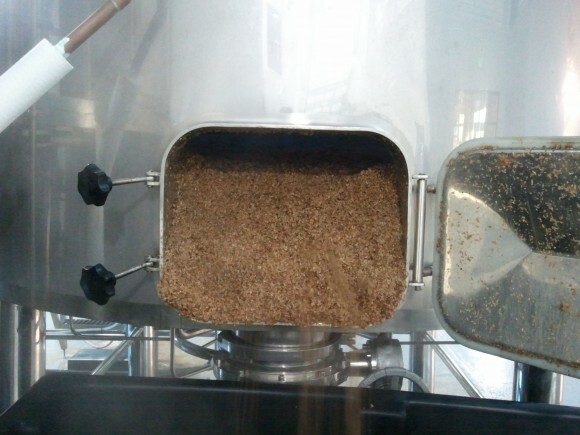 Like many small brewers the spent grains are passed along to farmers to be used as animal feed. 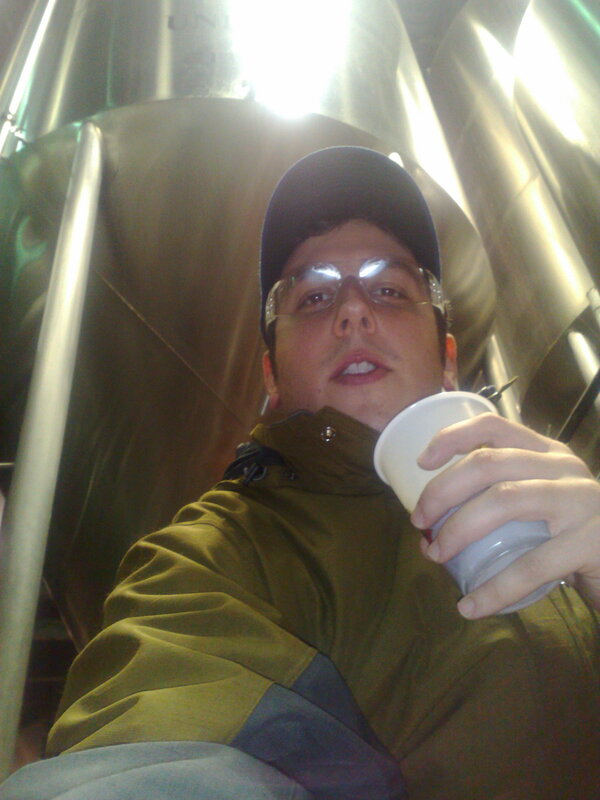 People think brewing is a glamorous, rock star profession. Really it’s mostly janitorial work. Most of our time is spent cleaning, but at least frequent beer tasting is a job requirement. If you’re in the Charleston area, look for Westbrook beers wherever they serve good beer around town. 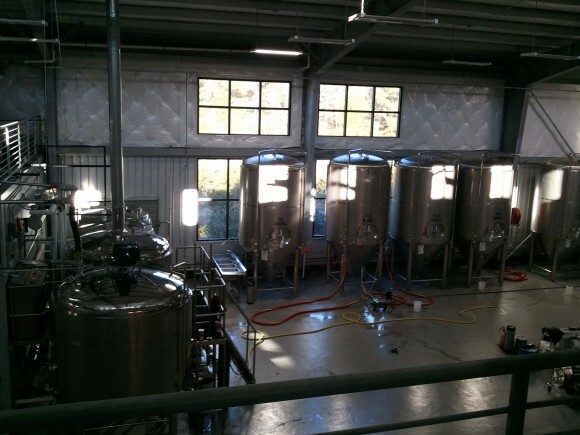 Hit up the tasting room which is opening soon and has 20 taps. For food after Foster’s Pub is down the street, good food, great staff and the owner Greg loves giving people samples to promote great beer. Their jalapeños stuffed with blue cheese and wrapped in bacon are off the hook. More photos in the gallery: Click Here! 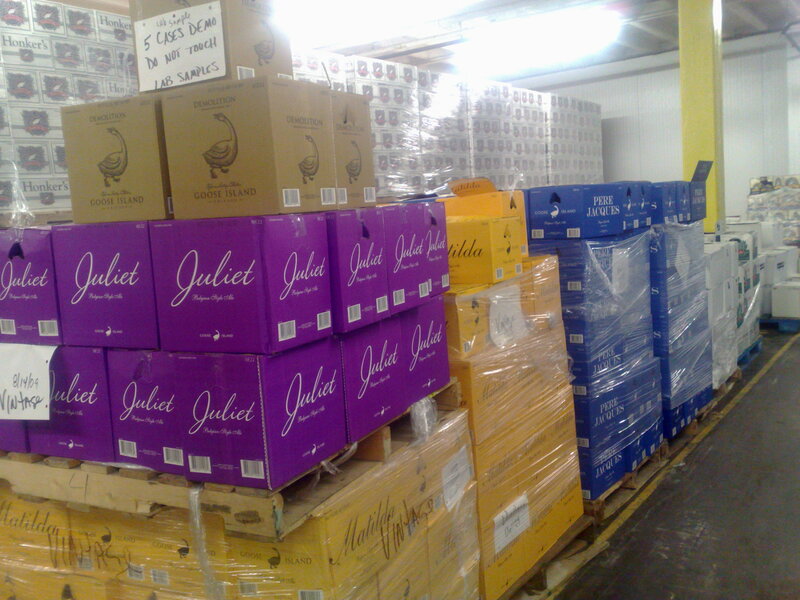 As part of the Siebel course we went on a tour of Goose Island’s production facility, which operates 24/7/365. It’s an awesome operation, it looked like a lot of fun to work there, all the people were really cool. They let us take pictures, so check out the gallery linked below. In addition to the video above, you can Click Here to visit the Goose Island Photo Gallery. They were great hosts. Their barrel-aging program produces some amazing beers. We were fortunate to get a taste of a very rare, never released beer that took a Silver at GABF that year: Red Woody. If you’re ever in Chicago I recommend checking out their original brewpub location. It’s across the street from Siebel Institute near the Clybourn & North stop on the red line. 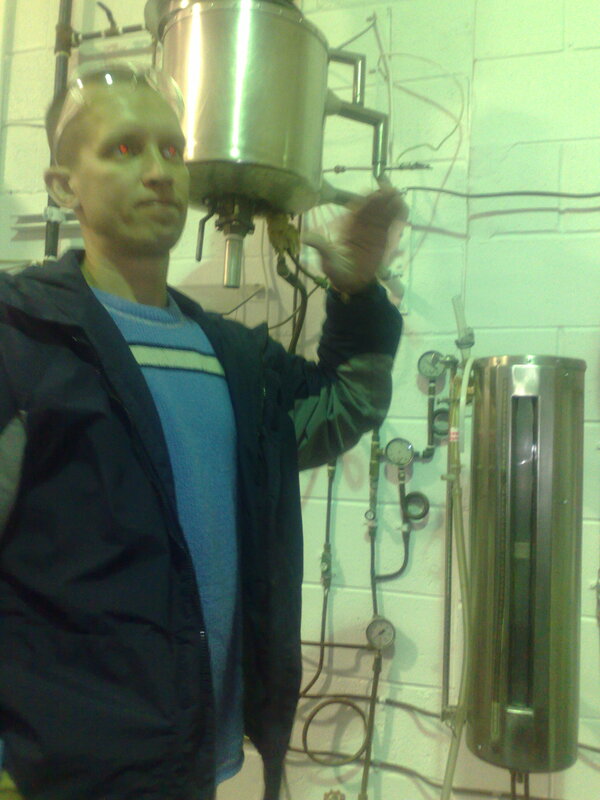 My boy Tim, in addition to some ridiculous red eye in this photo, has a sick 5-gallon system on which he conducts various brewing experiments. Check out more of the photos in the gallery.